Throughout history, the wandering pastoral tribes of the Russian Steppes have descended on the seats of civilization in Europe and the Middle East. 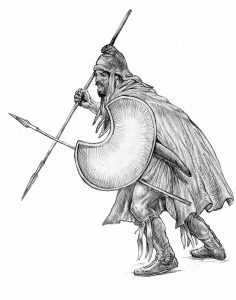 They have been called variously Scythians, Thracians, Cimmerians (and Kurgan Culture), Sarmatians, Cumans, Alans, Huns, Tatars, Turks, Slavs, Bulgars and Goths. In Saratov on the Lower Volga River in Russia, up to 1 in between 3 and 4 people possess this distinctive marker. In Slovenia, at the crossroads of Barbarian incursions into the Roman Empire, as many as 22% of the inhabitants carry it. It is also notable in Ashkenazi Jews, certain Mongols and some Turks. Minimal frequencies occur, on the other hand, in Asians like the Chinese or Indians. One minor branch is found in Malaysia and Australian Aboriginals, pointing to the relatedness of all humans. Another expansion centered on Egypt and became prominent among Berbers. It ran in the pharaohs—perhaps a vestige of the conquest of Egypt by a horse-bound warrior culture around 3000 BCE. This same timeframe corresponds with a general epoch in world history marking a widespread switch from female-centered societies and the Goddess religion to patriarchy and a male pantheon. Between 2 and 5 percent of Europeans on average possess this marker, depending on how far east their main ancestry originates. 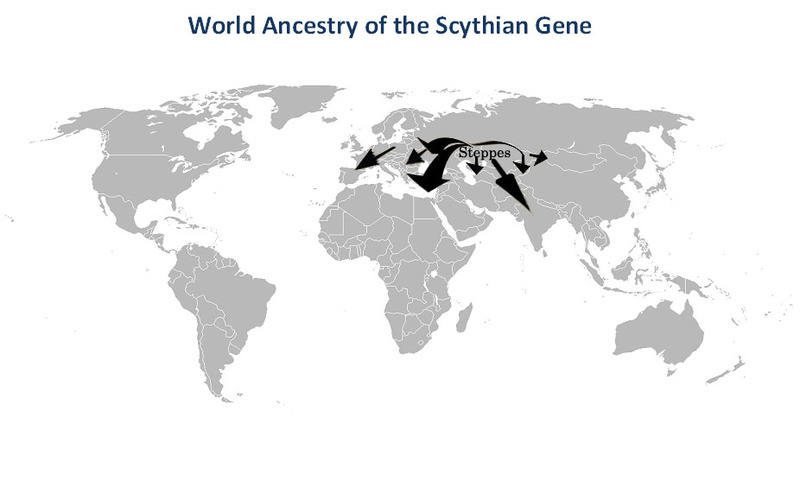 The Scythian Gene follows the spread of the horse, metal weapons and Indo-European languages.